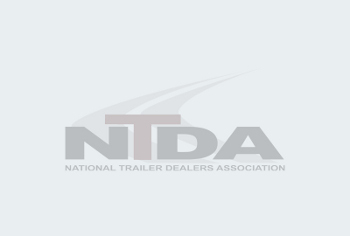 The NTDA is once again offering a series of free Webinars focused on Federal Excise Tax (FET) compliance. To register for any of the following Webinars, e-mail gwen@ntda.org. Please provide the names and e-mail addresses of each registrant. All FET Webinars are led by Tim Reynolds, CPA, Principal, CliftonLarsonAllen LLP. Do you have new hires, salespeople or employees who are new to the industry? This session will explore regulations from the basics of what qualifies for FET, what is a first retail sale, overview of IRS Form 720 Quarterly Excise Tax Return reporting requirements and basic tax-free and exempt sales. Review FET calculations and discuss the various deduction allowed for destination, optional extended warranties, non-transportation equipment, tire tax credit and look at the overall FET calculation. In addition, we will discuss some best practices in connection with IRS exams. If you are engaged in cross-border transactions and/or sales to state or local municipalities, this Webinar is for you! Discuss several types of common transactions for each and the requisite documentation and registrations that are required by the IRS to substantiate a tax-free sale. Explore the regulations included for tax-exempt sales of mobile machinery equipment and review the requirements of off-highway use units. The logging, mining, farming, construction and other industries regularly use these exemptions but possibly not correctly. The NTDA has partnered with R. J. Slee & Associates and Learningwithoutscars.com to provide Webinars for members. The fundamental objective of Learning Without Scars is to present meaningful theory in an understandable manner. You will take away ideas and concepts that have the potential to impact productivity, market penetration, and profitability in your dealership. We pride ourselves in being able to transfer our knowledge to our students without them having to get the “scars” of the mistakes along the way. The site offers dealer-specific training opportunities focused on parts, service and other dealership operations. Courses may be purchases one-off or in bundles. The virtual classroom setting makes learning easy, and participants can work through multiple disciplines at their own pace. R.J. Slee & Associates has decades of experience and a proven track record for results. It’s not just theory, but real world tools, training and solutions developed through years of hands-on experience working with leading dealerships and manufacturers.